Councilors in Calgary have voted to keep the possibility of a 2026 Winter Olympic and Paralympic bid alive. Members of the Canadian city’s Bid Exploration Committee (CBEC) presented two options to officials – consider potential funding opportunities for the bid or calling it off entirely. The vote finished 9-4 in favor of the former with more details now being sought from the International Olympic Committee (IOC). Only two councillors voted against spending $4 million to form CBEC last year, so the result could be seen as an increase in the level of opposition. 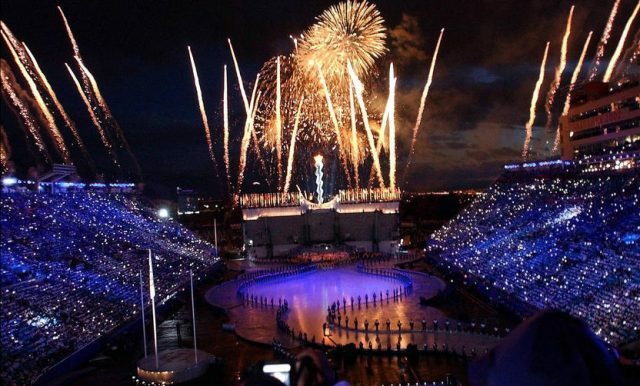 A report issued last month predicted that staging the event would cost about $3.6 billion. It is estimated that over half of this would be covered through public money. The CBEC, headed by Rick Hanson, has also warned that funding the Games in the same year as the 2026 FIFA World Cup – which Canada are co-bidding for alongside the United States and Mexico – could be problematic. However, the city, which staged the Winter Olympics in 1988, has been given time due to the IOC’s plans to reform the bidding process for 2026. An invitation phase lasting a full year has been approved before the formal candidature phase is shortened from two years to one. This means that the process will not be formally launched until October 2018. Calgary are also interested in the deal Los Angeles has received to host the 2028 Summer Olympic and Paralympic Games. The Californian city withdrew from the 2024 race earlier this week to focus on the later Games, allowing French capital Paris to host the earlier edition. In return, the IOC will advance funds to the Los Angeles Organizing Committee in view of the longer planning period and increase participation and access to youth sports programs in the city. Their contribution will be $1.8 billion and has the potential to exceed $2 billion according to the evaluation of the Los Angeles Bid Committee, when taking into account the estimated value of existing sponsor agreements to be renewed and potential new marketing deals. “What the Council decided was, pencils down for a little while, let’s analyse the deal that LA has received with the IOC, let’s think about what might make sense for Calgary, let’s refine some of our numbers,” said Mayor Naheed Nenshi to the Calgary Sun. The CBEC has declared that Calgary is capable of hosting the Olympics, but has stopped short of making a recommendation either way. Councilor Peter Demong was one of the four to vote against the bid. “The Olympics, there is a huge delta of dollars involved and I just don’t know if going forward with that is the right thing we should be doing right now,” he said to the Calgary Sun. “I don’t go into something trying to break even. Innsbruck in Austria and Sion in Switzerland are among other possible candidates for 2026.